You will earn 16 Points for buying this product. How to Use ? Please be aware that it doesn't work with Win XP. 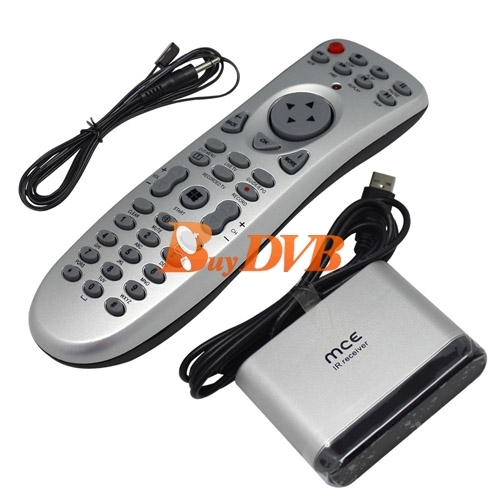 The MCE remote control is compatible with Windows Media Center Edition, so that you can organize all your "multimedia files" just as you want. Just select your downloaded audio & video files with a simple key press. 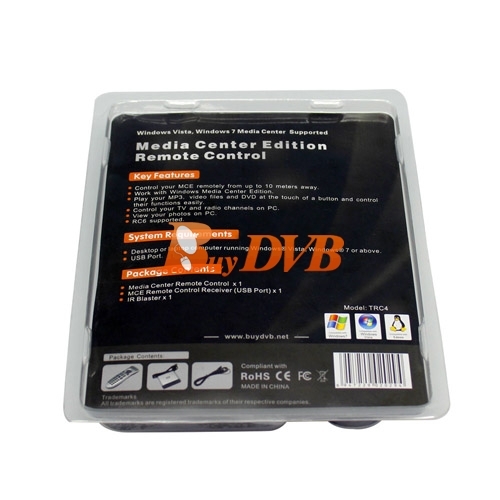 Enjoy the freedom to control your Windows Media Center PC from up to 20 feet away. Never miss a moment of your favorite programs—pause and rewind live TV, or record an entire TV episode, series, or category. Shuffle your entire music collection according to artist or genre. Tune in FM stations and even pause live radio. Browse, zoom, pan, or print your pictures by using the remote. 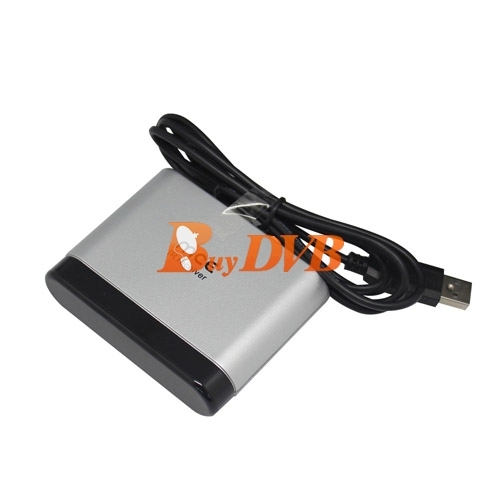 The USB IR receiver is a real MCE receiver with Linux driver support. MCE kit for Windows MCE2005 , Windows Vista, Win7 etc. 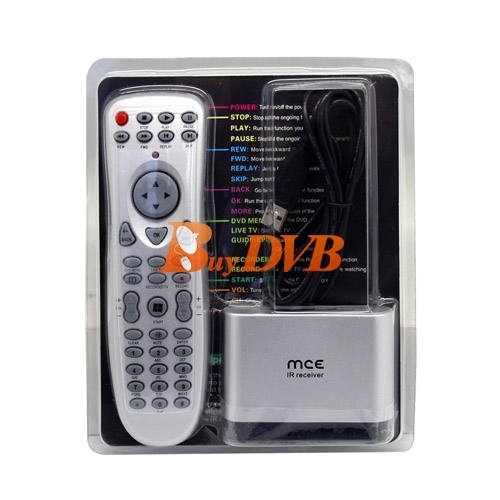 Complete control over your listening and viewing pleasure, from anywhere in the room as far as 10-20 M away. Note: The IR blaster is not necessary for most users. 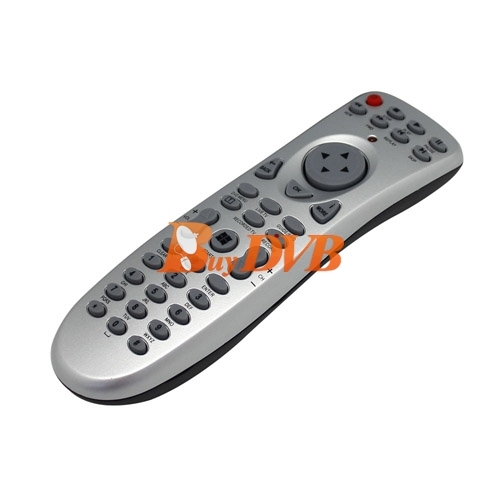 It's for transferring the code of the remote control to another one. 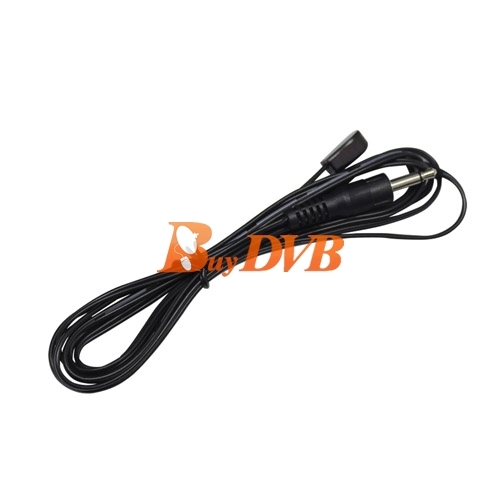 If you need and know how to use it, you may plug the IR blaster into the USB receiver.